It was really just a matter of time that South Korea will make its version of the highly successful and modern Hong Kong classic INFERNAL AFFAIRS. Did I hear someone say… oh no, not again?! Well, if the Americans and the Japanese can do their own film and drama versions, why not the Koreans? It’s a free world and there is just no limit to how many times a concept can be copied, because after all, INFERNAL AFFAIRS is not the first cop-thief film. Yes, I’m being sarcastic. The Korean version is gathering three big name stars. Well, just like how Tony Leung Chiu-wai and Andy Lau were brought together for INFERNAL AFFAIRS. Scorsese did cast Leonardo diCaprio and Matt Damon for his version so bringing in Korean superstars is only a fitting tribute to the original franchise, deshou? NEW WORLD (literal English title for 신세계 or Sinsigye) stars Lee Jung-jae, Choi Min-shik (OLD BOY) and Hwang Jung-min (THE UNJUST). While Lee Jung-jae might be recently known for THE HOUSEMAID and THE THIEVES, I’ve liked him since IL MARE so when I saw him in the movie teaser, I thought: Korean INFERNAL AFFAIRS with Lee Jung-jae? Why the hell not??? I’m ready to ignore what seems to be exaggerated acting from Hwang Jung-min, it’s just the teaser, maybe he’s better in the film version. But really, I’ve always wondered why Korean gangsters are portrayed stereotypically in films. Why are they always so loud and obnoxious, even those supposed to have become so successful and turned themselves into some “corporate” boss? If you’re a gangster trying to earn legitimacy and recognition in society, shouldn’t you be low-key and smooth at least? Anyway, I just had to let that out because it has been bothering me for some time. There. 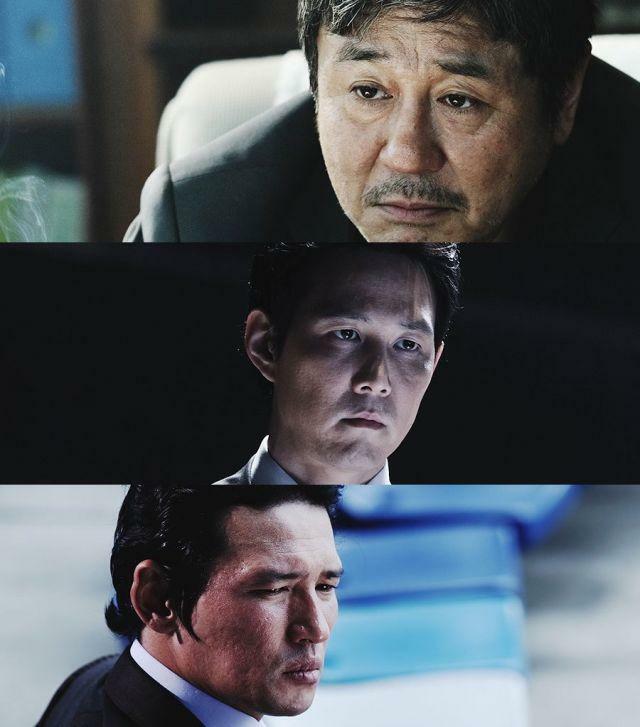 From the summary, Choi Min-shik plays the head detective who sets up spy operations in Korea’s biggest mafia and plants Lee Jung-jae there. Hwang Jung-min is the #2 gangster. This means Lee Jung-jae is playing the Andy Lau role while Hwang Jung-min is taking the Tony Leung role. It’s just interesting how the Korean version is giving more meat to the chief detective character that was played by Anthony Wong in the Hong Kong film. I guess to match it with Choi Min-shik’s stature. But perhaps that is also one reason why this version will be interesting to see. As for me, will watch for Lee Jung-jae. The film will be released in Korea on February 21.
oh no… not another Hollywood remake!!! Did you see Double Face, the Japanese version? yes I did. I did some kind of a review of it somewhere. did you? if yes, what did you think of it?